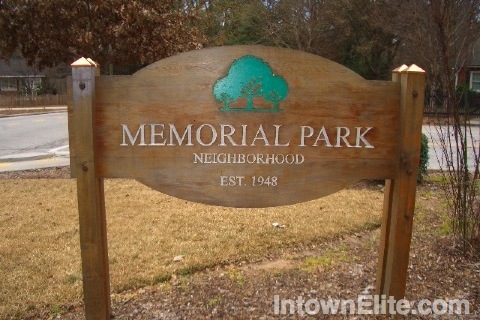 As the name suggests, the Memorial Park neighborhood in Buckhead encircles the 69-acre area of Atlanta Memorial Park, between Howell Mill Road and Northside Drive, and Longwood Drive and Peachtree Battle Avenue. Homes in this neighborhood may also be listed as Rolling Acres. The park itself has had many names, having been known as "Peachtree Creek Battlefield Park", "Atlanta Memorial Park at Peachtree Creek" and "Peachtree Battle Memorial Park" before taking it's current name. The area around the park was the scene of significant civil war battles. The park was also the site of numerous tree plantings by students in the 1930's to honor famous Georgians. Residents in the neighborhood also enjoy close proximity to Bobby Jones Golf Course and Bitsy Grant Tennis Center.